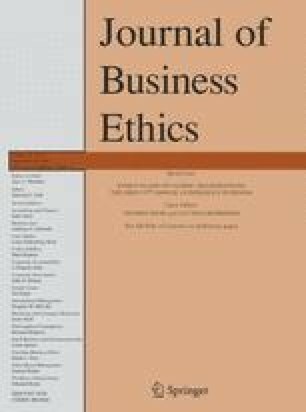 I argue in this article that responsible leadership (Maak and Pless, 2006) contributes to building social capital and ultimately to both a sustainable business and the common good. I show, first, that responsible leadership in a global stakeholder society is a relational and inherently moral phenomenon that cannot be captured in traditional dyadic leader–follower relationships (e.g., to subordinates) or by simply focusing on questions of leadership effectiveness. Business leaders have to deal with moral complexity resulting from a multitude of stakeholder claims and have to build enduring and mutually beneficial relationships with all relevant stakeholders. I contend, second, that in doing so leaders bundle the energy of␣different constituencies and enable social capital building. Social capital can be understood as actual or potential resources inherent to more or less institutionalized relationships of mutual recognition (Bourdieu 1980). By drawing on network analysis I suggest, third, that responsible leaders weave durable relational structures and ultimately networks of relationships which are rich in ties to otherwise unconnected individuals or groups. Against this background I argue, fourth, that responsible leadership may result in the creation of value networks (Lord and Brown, 2001) of multiple stakeholders, which enhance social capital and thereby contribute to both a sustainable business and the common good.